Cloned Cocker Spaniel puppy photographed at Ponce Inlet Jetties, Florida. Cloning the preservation of your pet dog allows you to recreate and carry on your loved pet to a genetic twin – I recently had the enjoyment in photographing this cloned adorable puppy sharing many of her original mothers character and features. Sunrise on Daytona Beach with cloned puppy. 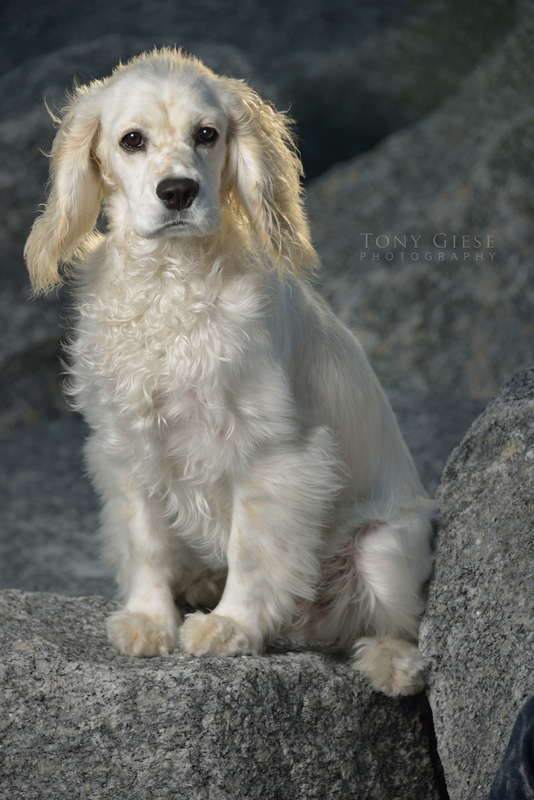 This beautiful Cocker Spaniel puppy was coned from her mothers genes producing almost a perfect indistinguishable twin dog. 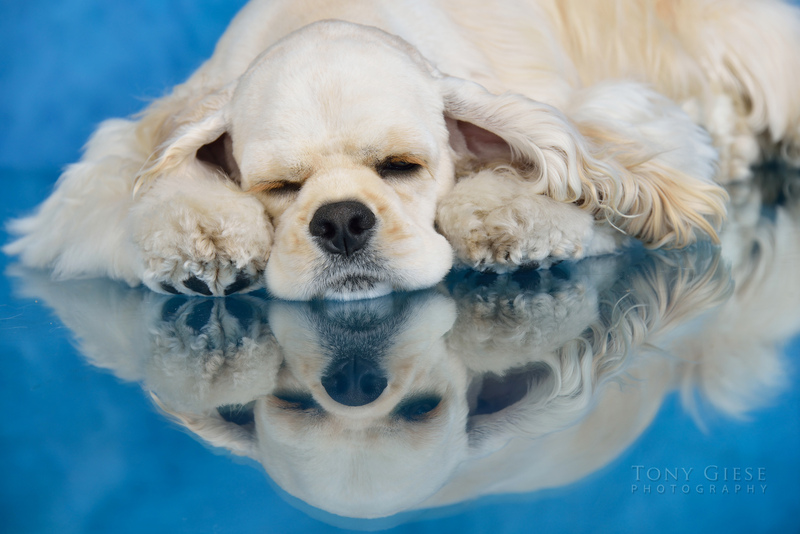 Sleeping Cocker Spaniel reflection in studio on glass. We as pet lovers enjoy photographing pet portraits by capturing outstanding images that we will be proud memories lasting a lifetime. 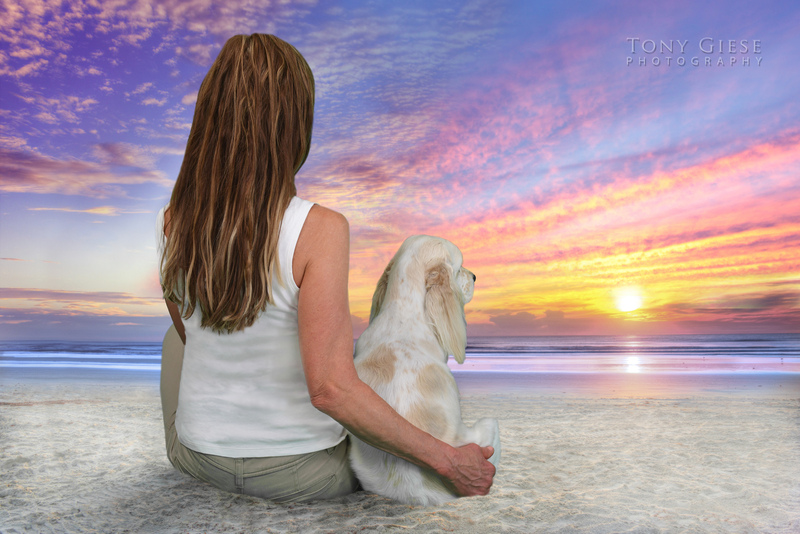 This entry was posted in My Posts and tagged beach photography, Beach portraits, Cloned pets, Cocker Spaniel, commercial photographer, Daytona Beach photographer, dog portraits, Ponce inlet beach, professional photographer, puppy, Tony Giese Photography. Bookmark the permalink.